The history of endoscopy over the past three decades has been marked by steady and rapid progress in endoscopic treatment, as arisen from the development of the video endoscope in 1983, leading to rapid advances in the subsequent years. The 1980s were characterized by improvements in endoscopic treatment of early gastrointestinal cancers using EMR, while in the 1990s, previous concepts of diagnosis and treatment of gastric diseases were overturned when the association between H. pylori and diseases of the gastrointestinal tract was verified. In the 2000s, the rapid dissemination of ESD has led to further advances in endoscopic treatment, while the introduction of the HDTV endoscope to the market in 2002, together with more recent innovations such as image-enhanced endoscopy (IEE) and magnifying endoscopy, has provided the basis for new diagnostic study. 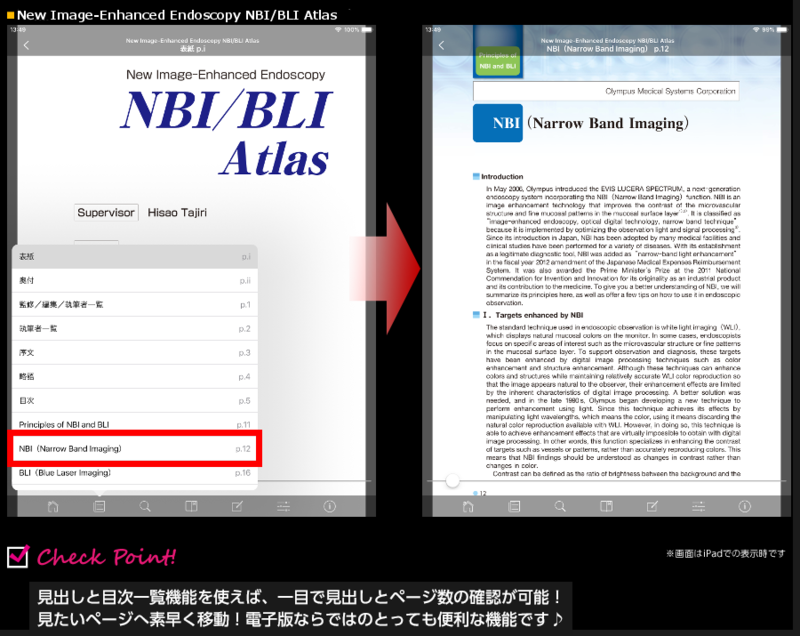 Now, thanks to the introduction of high-resolution endoscopes and magnifying endoscopes with NBI (Narrow Band Imaging), which provide clear and accurate observation of the microstructures and microvascular architectures on the mucosal surfaces, the grade of tissue atypism can be estimated with endoscopy. Soon we will enter a new era of endoscopic diagnosis, an era of what we can call "endoscopic pathology" in pretherapeutic examinations. These minute diagnostics have triggered a quantum leap in traditional endoscopic diagnosis. 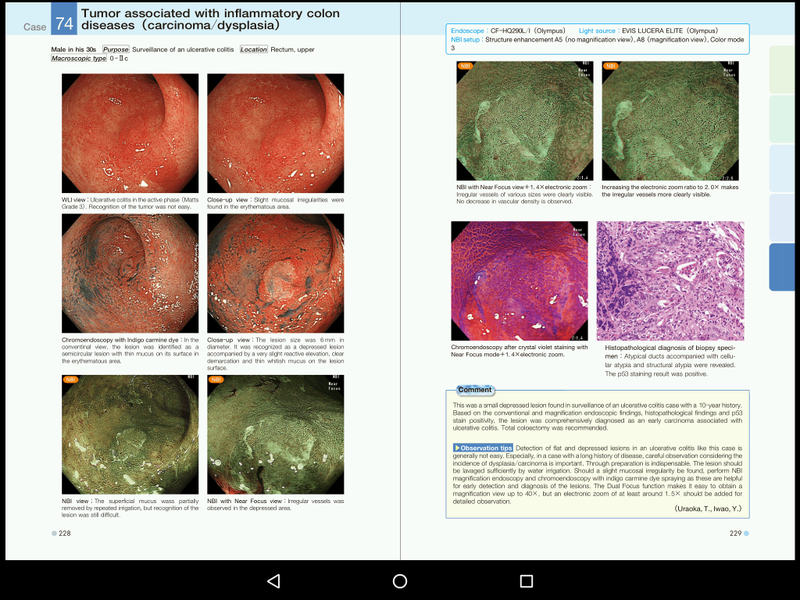 Supported by the achievements of prospective multicenter studies, these developments have had a profound impact on gastrointestinal endoscopists and cancer researchers around the world. As a result, it has been propagated worldwide and made a significant contribution to actual cancer treatments, as well as to clinical studies. Since the summer of 2012, two systems have been released which are designed to obtain images with even higher definition easily than before. 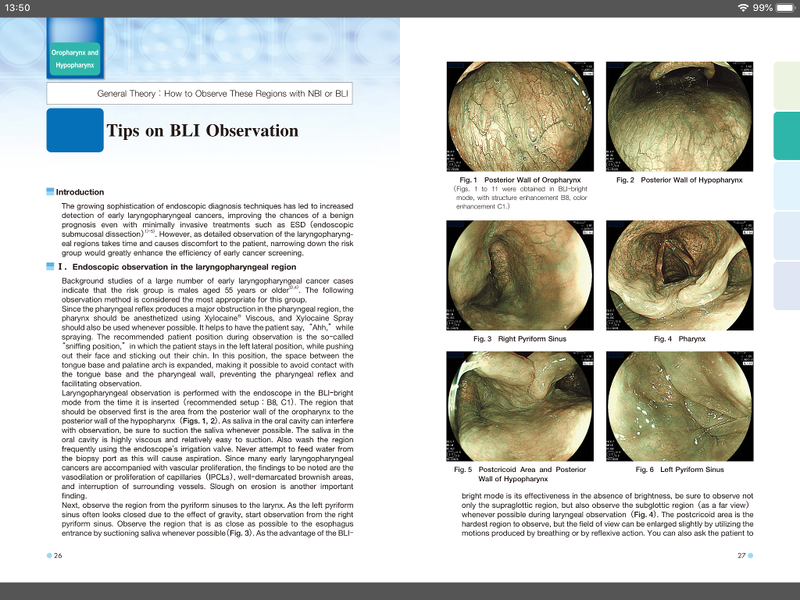 They are the EVIS LUCERA ELITE system with built-in NBI from Olympus Medical Systems Corporation and the LASEREO laser endoscopy system from Fujifilm Corporation featuring another new method called BLI (Blue Laser Imaging).This book was written in order to give you an idea of what the endoscopic images obtained with the new systems look like, explain how to incorporate IEE in endoscopic diagnosis and provide tips on observation using the new IEE techniques. Drawing on a comprehensive collection of case images as ATLAS sourced from hospitals that have already introduced these new systems, this book will guide you step by step through the diagnostic process, enabling you to observe minute changes in the endoscopic images and compare those observations with the explanations given by the authors. 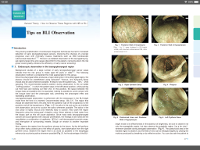 We are confident that this book will serve as a leading reference with high quality for a wide range of people, from young physicians aiming at becoming endoscopy specialists to doctors who are already acting as specialists or trainers, providing them with the knowledge they need to understand the new image-enhanced endoscopy and the guidance they need to take advantage of. 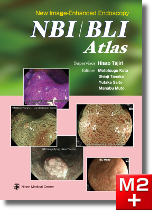 We hope that the material included in this book will give our readers the confidence to take on the challenge of pioneering the use of second-generation NBI, which has surmounted the problems associated with conventional NBI and/or BLI in routine procedures, and to perform evaluations and studies in order to establish more sophisticated diagnostics and advance new functional studies. Finally, we would like to express our gratitude to the many doctors who contributed to this book even though they were very busy. 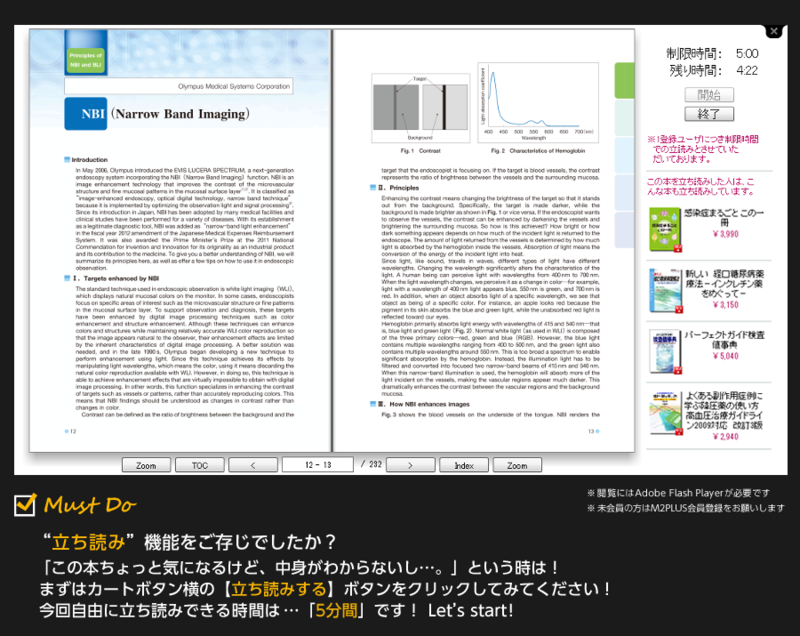 We would also like to express gratitude to Ms. Setsuko Kurozoe at Nihon Medical Center for her work in the editing of this book.